It’s father days coming up around the corner on the 16th of June. Have you found him a gift yet? I’m sure he has enough socks, and mugs in the cupboard. Instead of running around like a headless chicken looking for a present, why not cook him a meal. 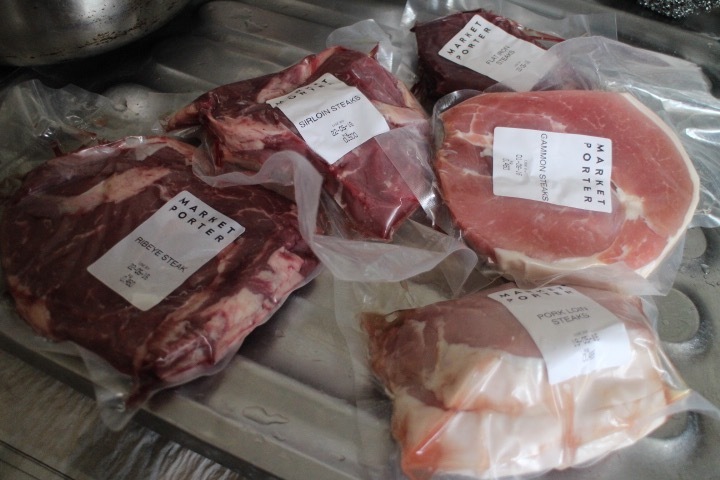 Market Porter is the online artisan market place for local good produce from their suppliers to your door. 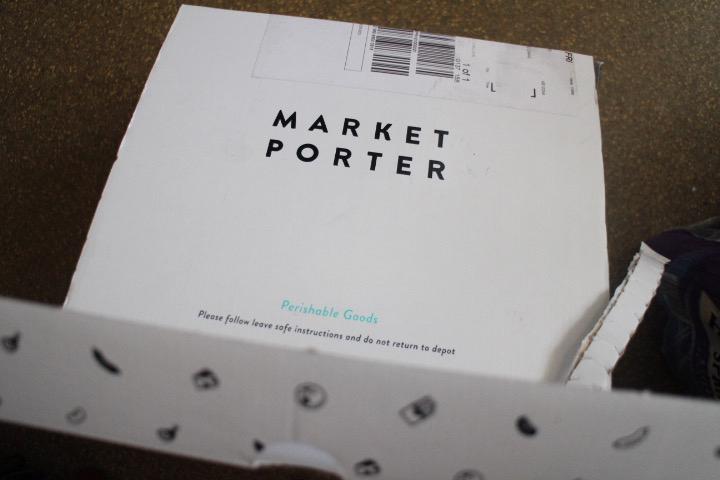 Sick of untraceable food from the supermarket that just didn’t cut it Market Porter made it their mission to find great food themselves. Delivery is free if you spend over £50, or £4.95 if under. The box is recyclable with an insulated liner and distilled water ice packs. Arrived on a Friday evening first impressions on the size of meat. I’m so used to the small supermarket size that the big cuts threw me off. For the amount of meat you get for the price, it is a lot cheaper than what you get from the supermarket. The meat look plumped, thickly cut. It’s a lot of meat in the prime steak selection and I decided to cook the family steak dinner the next day. Putting the meat I won’t be using in the freezer. 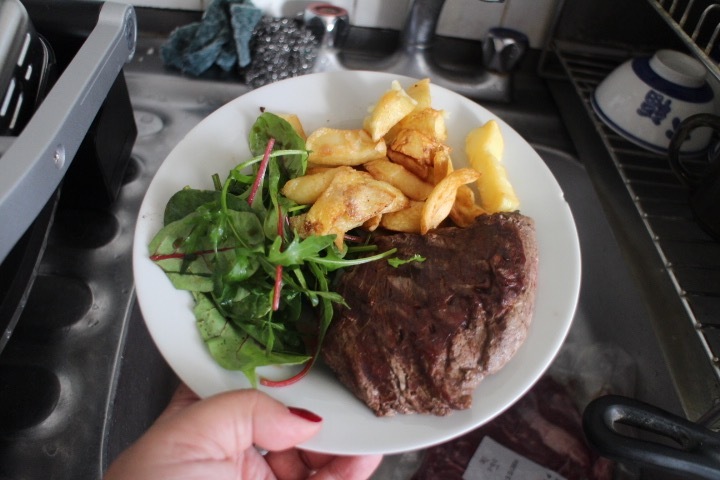 Whipping out the Tefal grill I cooked my steak meats to how I love them medium rare with some rocket salad and fat hand cut chips from the local chippies. 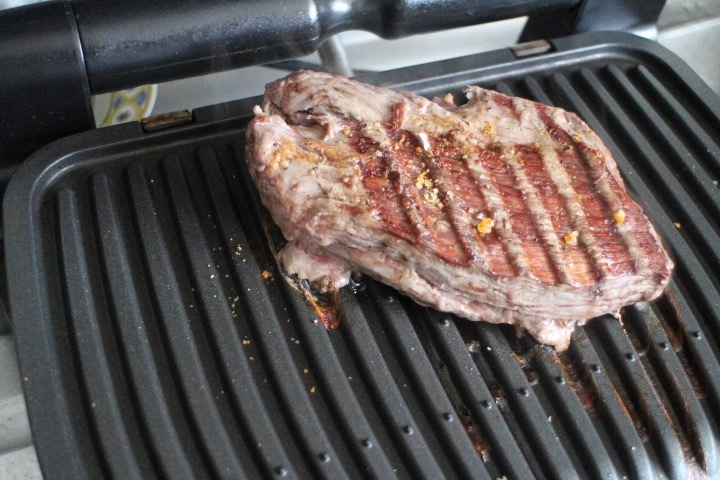 The beef meat has proven to be very flavoursome and tender, easy to cut without a steak knife. Of course, my dad loved the meal I cooked for him too.